With its fabulous uniform color, the Hot Pink bud is truly shocking! A muse for centuries for European artist, pink has been used to spark ideas of bliss, romantic love, and Motherly affection. 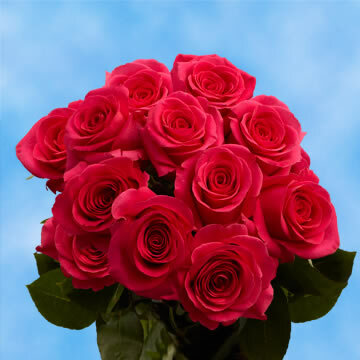 If you wish to create the perfect environment for your mother's next birthday or Mother's Day party, the Hot Pink Roses For Mother's Day are sure to please. 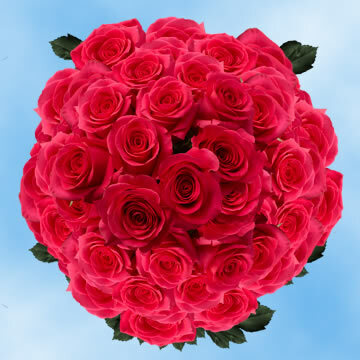 The intense grandeur of this blossom also makes it great for wedding bouquets and centerpieces as it can be used to make a joyful and cheerful ambiance. 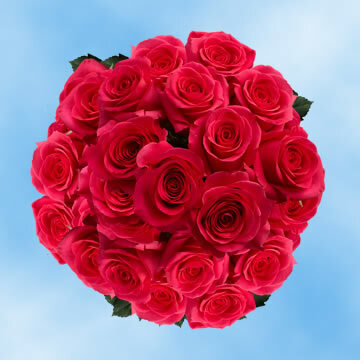 As a corsage for prom or any other formal event, they are a great way to say you are here to have a good time. We guarantee your buds will arrive to you fresh. 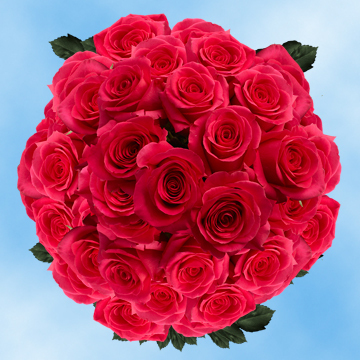 We cut all of our florets and then directly send them to you to insure that they stay beautiful longer.Your blossoms will stay shocking for as long as your event may last and then some. 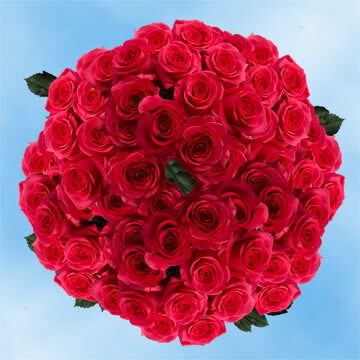 Mother Nature has given us a wide variety of beautiful flowers and we strive hard to preserve her splendor. We commit to being green by doing everything we can to protecting the environment. 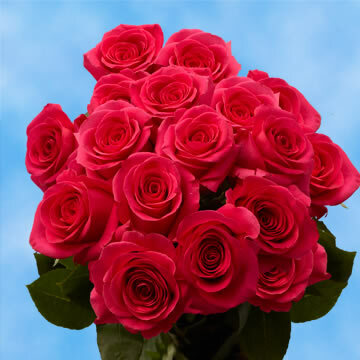 Your mind can be at ease knowing that your Hot Pink Roses For Mother's Day Roses Online Sale were grown to keep nature providing all of us with her bounty. Our facilities operate all year round to provide you with the best availability. Our greenhouses are state of the art to provide you with which ever blossom you need at any time of the year. If you are a continental US customer, your order will be delivered to you on time and anywhere you need them for free via FedEx.